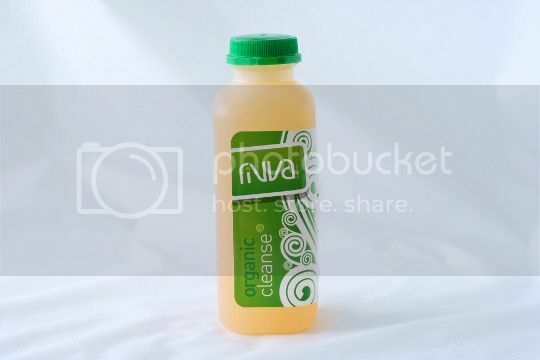 Cafe Rivva offers two cleansing packages: "Raw for a Day" or "Pure Detox" in one-, three-, or five-day increments. Prices start at $69 for the one-day cleanse, and are further discounted the higher you go. 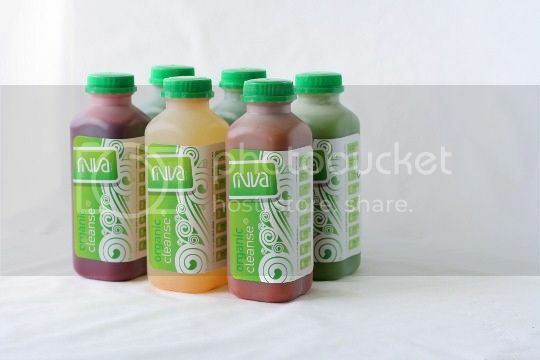 The pack contains six juices, consumed every two hours, along with a wheatgrass shot in the morning and an herbal tea at night. Now I'm no doctor, dietitian, or nutritionist, so if you're going to try a juice cleanse, I'd suggest you think long and hard about it and possibly even consult your doctor. 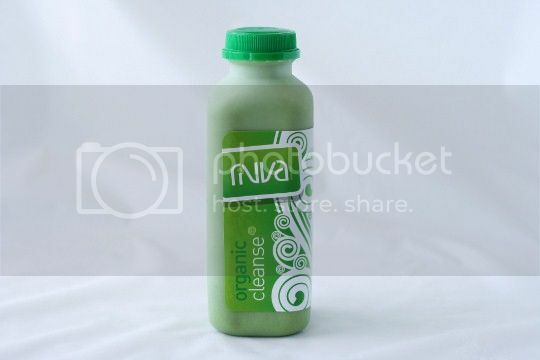 Do a web search for "juice cleanse," and you'll find hundreds of websites listing both pros and cons for doing it. I won't lie to you: it was hard. I only did the one-day cleanse, and to be honest, I couldn't imagine going for any longer than that (unless I was an experienced juicing pro!). Most of the day and night, I was always hungry. Honestly, I think there's something about the act of chewing in and of itself that does something to sate hunger. The physical act of only drinking all day seemed very unnatural and was a strange thing to get used to. As soon as you feel like you're about to reach your hunger breaking point, it's time for another juice! It's amazing how quickly two hours can pass when you're looking forward to your next "meal." About 20 minutes after each juice (I also learned to not guzzle and savor slowly), my hunger pangs temporarily disappeared and an overall feeling of normalcy returned. Mentally, I was...decent. To stop myself from thinking about food when my kitchen full of snacks was only a room away, I simply thought about other things. I wouldn't say I was extraordinarily focused or anything, but it was more of a disciplinary measure. I knew I could easily go grab a snack (okay, I did sneak a few almonds a couple times), but I didn't because I wanted to complete the cleanse successfully. Food and discipline is one of the most difficult combinations ever! Before your first juice, you take a shot of wheatgrass. For you wheatgrass virgins, don't be too afraid, it's not as bad as you probably think. It's actually very sweet when sipped, and in my opinion, only tastes like crap when you guzzle it and take it as a shot. That's when you get the extra planty and bitter taste in your mouth. I also think the smell of it is actually worse than the taste, as it's like a whiff of freshly cut grass times 100 smacking you right in the face. I felt sort of an energy rush immediately after downing it, I guess people do this stuff for a reason. Moving on, the first juice is delicious, the perfect way to wake up in the morning. It contains cucumber, celery, apple, coconut water, lime, and mint. Celery in a juice sounds strange, and you do taste it quite distinguishably, but it's very good and works well with the other ingredients. The juice is tart and tangy, minty and refreshing. This a great pick-me-up following your first juice. 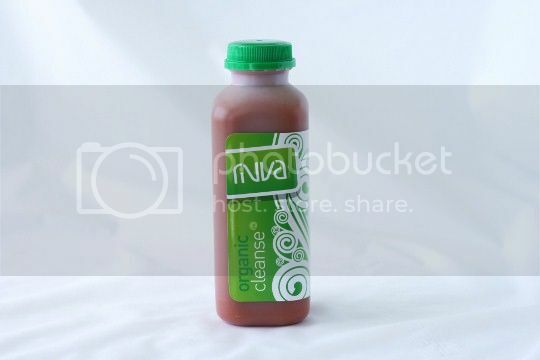 It's super flavorful, containing carrots, apple, beets, celery, lemon, and ginger. The beets make your first few sips very planty tasting, but that quickly is replaced with sweetness and tanginess. It almost tastes berry-like. The fresh ginger in the background gives the juice some spice and kick. Yay, my first "meal"! This was the first juice of the day that felt like it actually had some substance. It had the texture of a shake more than a juice, as it was a lot thicker and slightly gritty. Kale, spinach, banana, almond butter, spirulina, and agave combine to make a delicious drink. It's not overly sweet and has an almost savory flavor, perfect for a lunchtime meal, especially after consuming both of the previous sweet juices. After finishing this in about an hour, it was the first time all day that I felt like I had some food in my body. In fact, I probably could have drunk another one! So this was an interesting experience. I'm sure you've heard of the cayenne-maple syrup lemonade diet that was all the rage a few years ago? Well, this was my first time actually trying it. This is simply fresh squeezed lemon juice with a little sweetener and cayenne. And what seems like a few little red specks at the bottom of the bottle is something way more. I'd suggest drinking this as cold as you can get it because the heat starts to sneak up on you and takes a while to go away. The stuff is powerful! The lemonade isn't overly sweet, so you really just get the tartness of the lemon and the heat of the cayenne. I tried finishing this quickly, as I wasn't super fond of the taste, but whew! The cayenne caused enough irritation to my throat and sinuses that I had to take some breaks! That, paired with the slight burning of my lips, felt like an allergy attack coming on. After finishing this, I felt a noticeable crash in my energy level and my hunger seemed to come back with a vengeance. I guess what they say about spicy food upping your metabolism is true! Sooth was definitely a good way to describe this juice after my harrowing experience with the cayenne lemonade. It's very sweet, with lots of carrot and apple flavors. Along with that is just coconut water and mint, the perfect combination of refreshment. In fact, I might say this was the best tasting juice of the day. It's amazing the natural sugars that nature can provide! This did a decent job at temporarily sating my hunger. Woo hoo, another shake! By this time, I was desperate to get something with substance in me. Luckily, this is similar to the Kale Raw Meal in that it's thick and shake-like with a slightly gritty texture. Blueberries, raspberries, strawberries, banana, almonds, spirulina, maca (a Peruvian herb), tocos (super vitamin E! ), and coconut create a light-flavored and not overly sweet drink. 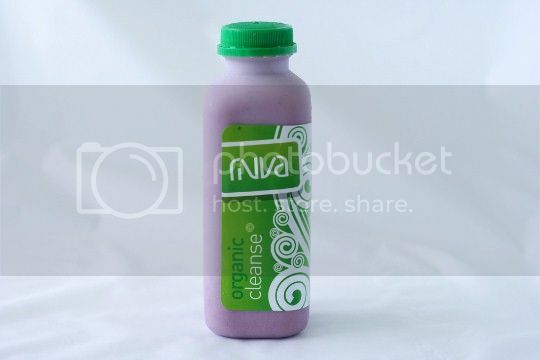 It tastes very similar to blueberry yogurt, or like a creamy blueberry milkshake. It's a great, flavorful way to end your highly disciplined day of cleansing...although I guarantee you'll go to bed thinking of what to eat for breakfast the next morning! As far as the physical results of the juice cleanse, well, let's just say that it really gets things going. 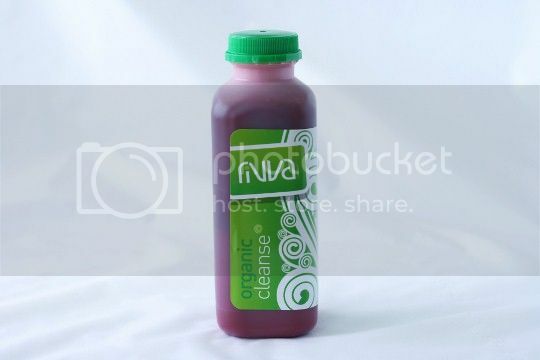 The day of the cleanse, you'll be peeing pretty much nonstop, but it's great to see how much clearer it gets every time. The next day is when the poo starts coming, and come it will. Nothing too crazy, just on a very frequent basis. And don't be alarmed if you see some red poo: it's just the beets! Seriously! I almost freaked out when I saw it, but considering that nothing was painful and I didn't feel sick, I didn't pay it too much more attention when I came to the beet coloring realization. This lasted for a couple days (the coloring and the frequency) before things got back to normal. Hey, they don't call it a cleanse for nothin! I might try the Superfood Shake. If it tastes like blueberry yogurt I'll definitely like it.